Grow your online business with the best small business marketing tips, easy steps to follow and that you need to work on daily! Once you decide to work on your own online business, there’re some tasks you need not to forget to work on, a good Marketing plan will help your business to grow and become successful. You might have start your business based on your passion, and you have opened a website for it, now it’s time to create a Marketing plan to get your first clients and make some sales. Growing a business is something you will love to work on, the more you know about how to create a marketing strategy, your business will have more chances to grow into a successful business and soon you’ll be creating a full income from it. 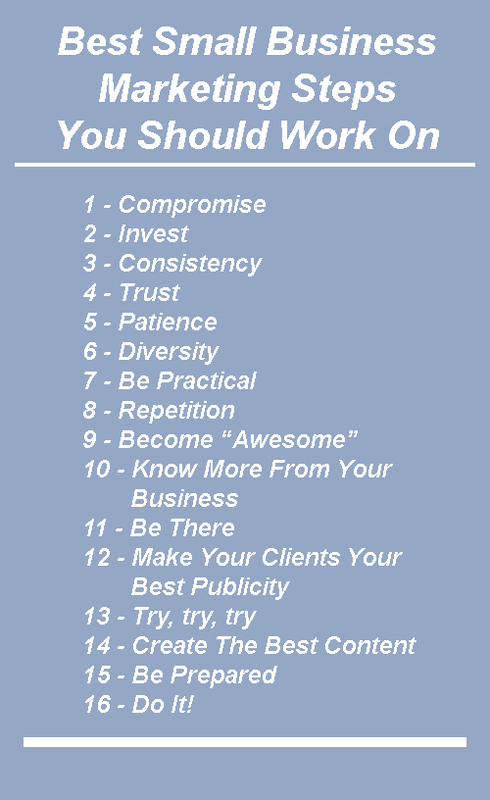 I have a list of 19 things you need to work on to create a marketing campaign for your business. Anytime you start a marketing campaign for your business, you should compromise yourself (or you’re marketing manager) to keep at it all the way. A poor marketing plan will always take your business longer to reach success if you keep at it, if you as a business owner have the compromise to work on it every single day. An excellent marketing plan, will not be successful if you work one day and forget about keeping working on it next week. It doesn’t matter if you’re not an expert, you always can start a marketing plan for your business with the knowledge you have today and it will help you to reach some success for your business. On the way, as you keep working on your business, you’ll be learning new things and new tricks, you’re marketing plan will contain better points to work on. Marketing should never be a spend >>>> it should be an investment. When you start to work to build up your small business, you will need to get a marketing campaign and it will cost you some money. Money you will need to spend on different things and also your time or the time you need to pay to people to work for you. You always need to be sure to know how to measure the results for every marketing campaign you do for your business, but one thing is important to highlight here: you need to be patience. Your business will become a successful business within time, there’s not a single solid business that has been built in a night. You will be working on your small business day after day for a period of time. But be sure if you keep at it, you will soon have a successful business. To get loyal customers for your small business will require time. This will not happen the first time they hear about your business. You will need to keep working on you’re marketing campaign every single day, they might hear you for the first time one day, and you will need to keep talking to them about your business and about your product. Let them know how you can help them to solve a particular problem or to improve their lifestyle, it might take some time before they start to trust you and your product, but one day they might try your product for the first time. To some people to trust on a brand can take years, not days or weeks, even years, but you need to be there, one day they will trust on your brand and they will become your loyal customers. If you have build up your own branding style, keep at it, repetition + consistency = Successful Marketing. When you work hard to build up your own small business, take your time to build it with a brand, a product and a service where people can trust on. The main reason why people buy a product or a service is because they trust on the brand.Why you keep buying a certain brand of shoes and not to try other brand, the answer is simple, because you trust on the brand. Selection – people love to believe that they have the control to choose to buy a certain product and not other products. Price – Yes, this is the fifth reason people pay attention to at the moment they buy a product, people pay more attention to the brand and quality than only the price they need to pay to get a product. If you’re working hard to build your own small business, don’t forget you need to pay attention to build up the trust people will have on your brand and not to sell your product just because it is the cheapest they can get. The main purpose of a good marketing campaign that will help you to sell your product or service is the trust people will have on your brand, not the price of your product. As a business owner, you’ll need to learn to be patient, it requires time and good work for something to work the way you want it. And this concept applies also for business and for any marketing campaign. Be patient and keep working on it, the good results will make your business a successful story within time. When you work on a marketing plan, you need to know by focusing on one thing only; or it won’t work at all. When you work on a new marketing plan for your business, be sure to include different ways to approach a target client. That is the key to get more clients. If your business is a local business, you will need printed publicity, and this printed publicity will help your business website to get more clients. You will need at least 10 different strategies working all together to make an impact on your target client. You might have heard that time is money, but time is more than that, time is life!! When you work on your own business, be sure to develop a business that work for your clients and not for you, I mean you need to have a business to help people to live better and to solve certain types of problems they might have in their lives. Build a business that will work for your clients and that will not require from you to work all the time on it. Get to know more about your product. To buy the product from you. To get all the information about your product. To buy the product for you in one single step. To pay for your product. A business becomes a successful business after you make the first sale, but a good business does not’t end there, it’s just the beginning of a good relationship. Once you get a person to trust on your brand and buy from you, you need to keep working on that client as if he or she was a member of your family. You don’t welcome a new baby into your family and you forget about it the next day, you keep giving him or her all the attention they need. The same should happen with every new customer you get on your business, you need to know if your product helped them to solve their problem, and if they have another problem you might be helping them to solve out too. You need to keep working on keeping that client not for a single sale but for a repetition of sales. You and me are all the time targeted with some kind of publicity, you might agree with me that every time you see some kind of publicity, you might ignore it, I tend to do that. But that will not help at all to your business. That is the reason you need to be “Awesome” on you’re marketing campaign, you need to work on developing something that captures the attention from your target client. Think for a moment about the last “publicity” that had captured your attention on the last week… it was awesome and it got your attention. Well, you need to work on something like that, I know you might be the owner of a small business, but you need to practice and work on you’re marketing campaigns until you get it. Take the time to look at your product and service and look at it as if you were one of your clients. What things from your product your client will look like a “WOW!” moment, what makes your product different, what is that your clients are right now looking from? Well, there you have, now let your client know about it! You need to know how good you’re marketing plan is working for you, to know this you need to use some measurements for your business marketing. You need to know how well a marketing campaign is working for your business, if the steps and strategies you have for your business work or not. Have you asked your clients how did they know about your business or your product? Ask your clients if they know your business because your Social Media or because your printed publicity. Are they buying your product because a friend told them about it? Get to know the results of your different ways to get in touch with your clients, get to know which type of marketing is working better for your business and do more of it. Once you get the information, you’ll know what is working and what is not working. To build a solid business nowadays, you need to be active, you need to show interest on your client and your client show interest on your business by buying from it. But you need to be there, your client need to know you’re there. Nowadays, to be a successful business owner, you need to be there. You need to be there to make alliances with other business owners, today you can’t be alone to be successful, stop seeing other as your competitors, work with them. Build up strong relationships with your competitors and you’ll be successful. When you make you’re marketing plans, have in your mind your neighbor business, talk to them and ask them to put your printed publicity on their business and you can do the same on your business. The same work for online business, make good relationship with other online business owners, you can talk or blog about other business and they can talk or mention your business on their blogs. Learn to promote yourself and promote others. Today business owners should be prepared for everything, today entrepreneur should have the best equipment for their business. 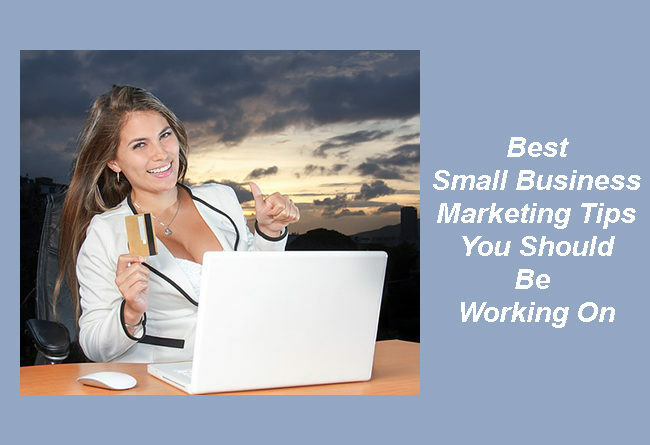 All those things are a must have on any new business, off and online. Don’t forget most of the people today have a smart phone, they live with it on their hands most of the time. Every single person will check their smart phone an average of 150 times every day, be sure to be part of it, you’re marketing campaign should be ready to be part of those 150 moments they check their smart phones. 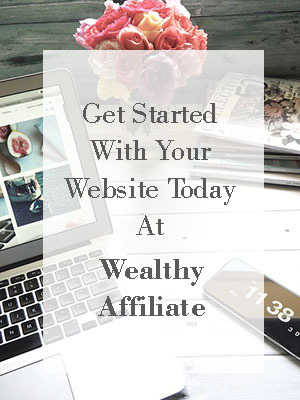 Online publicity is way more accessible and affordable than that other ways of publicity, will your business marketing be ready to help your business to make more sales today? 14 – Make them part of your business. Yes, have you thought of making your clients part of your business. You need to talk to them softly on their ears, you can do that, that is something you can do thanks to the internet, you don’t need to be jumping on the street trying to catch the attention from your target client. Today, you have the best tool for your business, the internet. You can have the best spots to catch the attention from your client. Make your product “awesome” for them, have you seen how people love to get a selfie from them using this or that product and sharing it on their Social Media. Internet is here, use them to help you to grow your business! Well, you have gotten to this point, you already know about 15 different Marketing things or strategies to try for your business to help you to be a successful story. Try them, if something is not good for your business, try something different. Once you find something that works for your and for your business, make a commitment and keep at it. Once you find something that brings more clients to your business and make sales, commit yourself to keep working on it. Successful entrepreneurs nowadays follow good advice to help their business: try, try and try! When you try more different marketing strategies, you will know more of them and you will know which one works better for your business and how to combine them to get better results. When you work hard to create your own business nowadays, you need to focus yourself to create something that contains quality. Today, people focus on buying quality products and services, if your product or business do not contain it, people will not recommend you or your product or your business. That is that simple as it is. Quality, quality and quality! As your business grows, you might be hiring a marketing manager to work for your company or you might try outsourcing you’re marketing campaigns. But whether you do you’re marketing campaigns or you hire someone to work on it, you need to be sure all of you talk the same language. You need to be sure everyone who is involved at work on you’re marketing plan knows your business and your product so they all can talk the same language and your client will get the same and clear message. As a business owner you need to work on yourself every single day, just as you’re doing right now, you’re getting to know more about what you need to do to make a successful marketing campaign for your business by reading this article. Don’t stop here, you need to keep learning and know more about it every day, study, get informed by what other business owners are doing to get good results. The more you know, it will be better for your business and for yourself. Business world changes every day, learn how to be ready to come up with new marketing campaigns that will help you to get more sales and to build a strong solid business. Well, now you know more about what you should be doing, and by knowing it, you need to do it. Successful business owners are those who have done this and that, people who tend to read or know about this and that but never done it, will not become a success story. It’s sad to say that, but once you know what you need to be doing, go and do it. Try this and that, and if it doesn’t work, keep trying until you find something that will work for your business and it will make sales for it. Remember to be patient, as your business will need time to grow solid, but work on it. After reading these 19 steps to create a good marketing campaign for your business, you might have new ideas to work on, remember the most important step will be to work on it daily, your business is a job you’ll be working on every day, the more you know about it and how to work on it, it will be easier later to delegate some tasks so you can start living from your business and get more free time to enjoy more of life and more from your family. Take your time to plan a strategy and try it, it might require some time and work before you know what is the right marketing strategy for your business. Don’t forget business are unique and your client will need the “Awesome” moment to capture their attention. If you have a question, leave a comment, if you have an idea that will help other readers, leave a comment as well. I thank you for your visit and time to read my blog. I have a question on the 2nd point, Invest. I do agree that marketing should be an investment. But what would you recommend is the right percentage to invest into marketing? If you invest too little, you won’t make your money back and if you invest too much, you may run out of money for other tools and resources. So that’s why I’m wondering from your point of view, what percentage of the revenue should be invested in marketing? Thanks so much for your visit and for your question, as you keep working on your business, you will get to know more about your sales and how much of them are a profit. To start working on a Marketing plan, you will need to invest some money to run a first try, it must be a low % from your sales. The important point is to get a feedback on how your marketing campaign is doing, get to know the mediums you use, written publicity, hire a marketing manager or outsourcing a person to work to promote your business. Work with goals, set a goal for every marketing campaign you start, start low and if this campaign brings good results, you can plan a new campaign. The same goes if you hire someone who will work for you to do the marketing, set a goal for your business to reach an amount of sales. One strategy that always brings good results for any business with a low percent of investment, is to create a hashtag for your business, something that is unique and will take your business from the rest on your niche. Try to get this # popular on Social Media and ask your clients to share a selfie wearing your products with the #, if you have your online business, this strategy will help you to get the attention from more of your target clients. If you have more question about this topic, I’ll be happy to answer it.